B&B Electric knows different facilities in the industrial sector may come with its own set of codes and restrictions to adhere to. We will work within those restrictions, and provide the highest quality craftsmanship for your facility. From design to installation and follow up maintenance, you can expect a full service experience with B&B Electric. We provide control wiring, and annual customer-shutdown capability available to keep your staff and building safe. B&B Electric will work within your budget, restrictions, and timeline to complete a quality building. From food processing plants to water treatment centers, we have provided electric services to many different industries, and know each type of facility might come with its own set of codes and restrictions to adhere to. 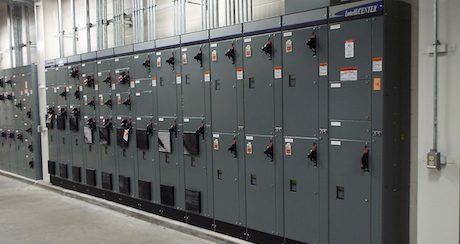 We provide owner primary switchgear to ensure that your business keeps moving in the right direction. Let’s get started on your next project. Our Project Managers can create a custom electric plan to best fit your needs and budget. A Food Processing Facility was expanding to accommodate a new cooking process that required a conveyor. The expansion provided the facility much more square footage and additional machinery to power. A food manufacturing facility in West Central Wisconsin had the goal of improve their cooking process and material handling systems. Over a course of 11 months, demolition, new LED lighting, and various power distribution systems were completed. 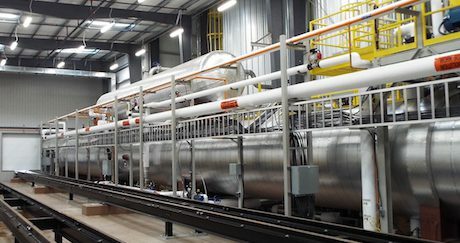 See our recent industrial projects and see what’s possible for your next project. Get started today by telling us about your next project!